Muscle cramps that are caused by exercise can be very painful and can cause athletes to drop out of competitions. Muscle cramps can happen in any types of sports and are usually a result of muscle fatigue, a loss of electrolytes or dehydration. Cramps are not limited to sports, they can happen even to people who are not involved in any type of sports. Repetitive cramps can be healed by a chiropractor by aligning the vertebrae correctly in the spine using various techniques. The American College of Sports Medicine published a review on the causes of muscle cramps during exercise – two possible causes were identified that lead to muscle cramps. The first was credited to muscle fatigue. Neuromuscular systems are embedded into muscles to allow control of contraction of the muscles. When this system malfunctions, contraction of muscle takes place and then causes the cramps. Muscles that are regularly used, such as those of an athlete or a person with a very active lifestyle, are at a higher risk of experiencing cramps or spasms. The second major cause is a result of an excessive fluid loss from the body (sweat), which decreases the body’s electrolytes level. This depletes the body of sodium. The body is designed to cool itself by sweating when body temperature starts to rise beyond normal levels. 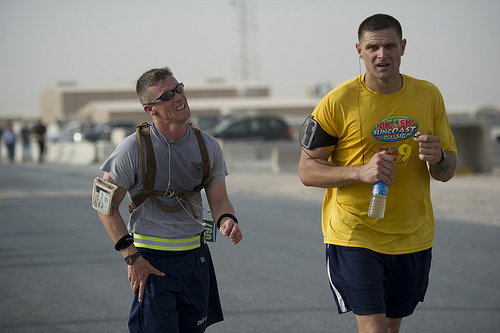 The loss of electrolytes due to sweating can cause depletion of body’s electrolytes and if it is not replenished properly, it will cause cramps. Electrolytes are minerals including sodium, chloride, magnesium and potassium. They are dissolved in the body and directly control the required muscle contractions and nerve conductions. Consuming bananas to treat muscle cramps has no solid ground and there is no evidence to support such a remedy. Treatment of muscle cramps depends upon the initial cause. For those people who experience a muscle cramp due to a strenuous workload such as exercise or sports, chiropractors recommend treatments such as a massage, application of cold packs to the affected muscles and passive stretching. Proper rest must be given to those muscles which have experienced an overload due to stress. For those people who suffer from cramps as a result of excessive sweating and a deficit of sodium, the same methods of treatment can be used besides replenishing the lost fluid levels. Being a type of manual therapy, the practitioner utilizes techniques, forces and manipulations that are administered chiefly by hands. The spinal cord is the center of all therapies for a chiropractic doctor. Their belief is that the spine is the central structure as it allows messages from different parts of the body to reach the brain and vice versa. Under the state of paralysis in any part of the body, it is the spinal cord that can make any limb completely nonfunctional. Keeping the vitality of the spine in mind, D. D. Palmer brought to life the concept of spine manipulation to deal with vertebral subluxation. It is the practice of applying varying amounts of force to the area of concern in the spine to restore normal functioning. Palmer is popular for applying this technique to a deaf individual (deafness not present at birth) and being successful at restoring his hearing capabilities. 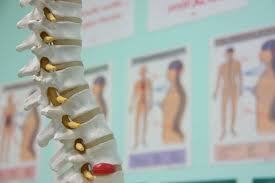 Primarily a chiropractic practitioner deals with a vertebral subluxation. A subluxation is when the spine loses its normal positioning and the neural pathway dysfunction causes a compromise in the functioning of several different parts of the body including the visceral system. A subluxation occurs as a result of a trauma, injury or even a chemical imbalance in the body. A thorough examination is undertaken before your doctor performs any chiropractic techniques to relieve your pain. Several conditions are beyond the realm of this care. If you have a neurological condition, then you will be recommended to a neurologist and will not be administered any care procedures under a chiropractic practitioner. Other such conditions that cannot be dealt with manual therapies include tumors, broken bones, osteoporosis and arthritis. Areas that can be called its forte are pain in the upper and lower back, neck pain, and headaches, minor injuries related to sports, asthma, tennis elbow, frozen shoulder, menstrual pains and the like. This is said to be the second most valid reason for paying a visit to a chiropractic practitioner. However, neck pain can be caused by a variety of reasons. Several of which can be dealt with utilizing chiropractics. With cervical disc degenerative diseases, pinched cervical nerve, minor injuries to ligaments, herniated disc disease and the like, chiropractic can be very effective. When the neck becomes an area of concern, several other parts of the body can suffer the impact. Weakness in the arms, shoulders and hands, the tingling sensation in parts of the body supplied by the neck suffer along with the pain in neck. Therefore, dealing with neck pain with the help of a chiropractic practitioner is a wise decision. Chiropractic care is a medical system that aims to eliminate the root of a problem rather than just suppressing the symptoms. Chiropractors manipulate the spinal column along with other parts of the body with the aim of easing pain, promoting the body’s systems to naturally heal it along with prescribing exercise to eliminate postural problems. This approach introduces a healthier lifestyle for an individual. 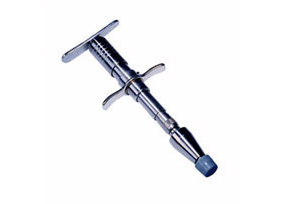 The activator is a device that is used to correct minor misalignments in the spine. It sends a small impulse that is sufficient enough to move the vertebrae without causing any injury. This is a non-forceful technique that is used to remove blocked energy in the body and allows it to heal itself. This procedure is a safe alternate to back surgery and is designed to relieve lower back pain by altering the spinal column. However, it is also used to treat disc herniation, stenosis, arm and neck pains as well as many other complications. Applied Kinesiology gauges a muscles’ strength or weakness to find an illness. This technique utilizes a special drop table to adjust the full length of the spine. The SOT technique is designed to reduce and sometimes completely eliminate pain in the head, neck, spinal cord, TMJ as well as improve function of many organs. The Logan technique applies a gentle and sustained pressure at the base of the spine, that corrects the balance of the spinal column and releases tension. A gentle, sustained pressure is exerted at the base of the spine. Correcting the sacrum corrects the rest of the spine. Nimmo technique is designed to relieve people of their chronic pain, whether in the muscle system, nervous system or skeletal system. Orthotics focuses design and construction of external devices that help in modifying the structure of the body, such as uneven leg length, incorrect spinal curvature and tilted pelvis. Chiropractors believe that physical exercise is essential for the well-being of the human body. This is why they prescribe exercises that are easy to carry out at home. These exercises aim at reducing or preventing obesity that is a major factor in causing heart diseases, diabetes and many other diseases.